Lovingly Hanknitted in Peru by skilled artisans. 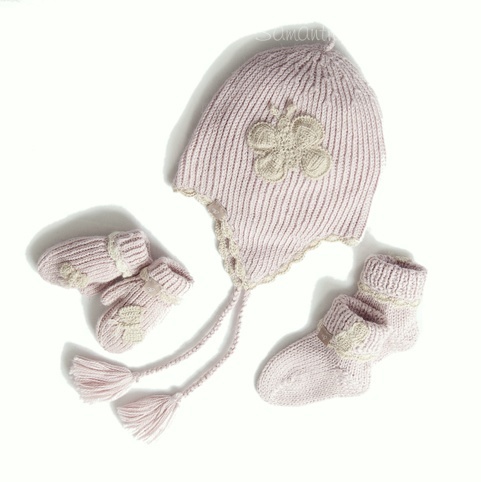 Our beautiful Butterfly Earflap Bonnet, Mitts and Socks are made from 70 % baby alpaca and 30% bamboo and come as a trio set. Please note that the Butterfly Baby Blanket is sold separately. Perfect new baby layette, baby shower or christening gifts for any Baby Girl.